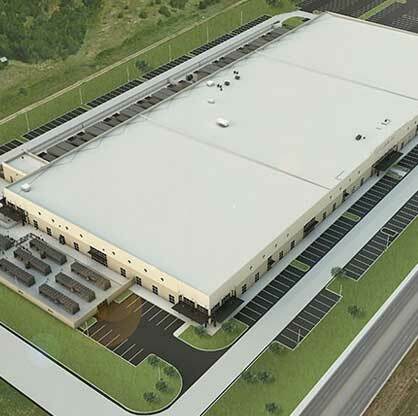 by Brianna Crandall — April 1, 2019 — CyrusOne, a premier global data center real estate investment trust (REIT), has announced that its London I and London II data center facilities are now running on a 100% renewable energy tariff, a move which the company says will transfer energy annual usage equivalent to 52,000 households to zero-emissions sources. Comprising a combined 23MW of information technology (IT) power, both CyrusOne’s London I data center in Slough and its London II facility in Prologis Park, Stockley, are now served by Hudson Energy, an independent provider of electricity and gas to businesses across the UK. CyrusOne has also confirmed that all new London data center inventory, including the recently announced 9MW London III facility in Stockley Park, will run off renewable energy. As large energy users in the UK, the data center industry is in a strong position to effect change in terms of how green energy is priced and made available. Traditionally, green energy tariffs have been priced at a premium, but as more users demand their energy from renewable sources, the rates we can negotiate are decreasing rapidly. We continue to explore ways to maximize the efficiency and resource usage in our data centers so that we can pass those benefits along to our customers. More broadly across the company, water conservation has been a significant factor in how CyrusOne designs and builds new data centers. In the US, for example, CyrusOne’s hyperscale, purpose-built data centers use an air-cooled chiller technology with an integrated compressor and condenser that cool the closed loop of water. Filling the pipe with water just a single time is the only water consumption with the permanent water supply provided by a single tanker truck. CyrusOne specializes in highly reliable enterprise-class, carrier-neutral data center properties. CyrusOne provides mission-critical data center facilities that protect and ensure the continued operation of IT infrastructure for approximately 1,000 customers, including more than 205 Fortune 1000 companies. CyrusOne offers a tailored, customer service-focused platform and is committed to full transparency in communication, management, and service delivery throughout its more than 45 data centers worldwide. Learn how your solar PV modules can be retrofitted to make them NEC compliant for rapid shutdown November 14, 2018 In "Products and Services » Energy"